At Trilogy Orlando, age is all relative, and a happy hour is an all-day event. Active adults are turning back the clock at this exclusive 55 or better community that’s dressed to impress from the moment you enter the gated entrance, to when you’re sitting down for a bite at Magnolia House surrounded by 57,000 square feet of architectural opulence. Part of the Freedom 40 collection, the 1,862 square foot Connect floor plan starts at $252,990 with ample space for entertaining. Visitors and weekend guests have plenty of elbow room with 3-bedrooms, 2-baths, along with a spacious 2 car garage. The beautiful 1,540 square foot Capri model part of the Villa Cortile Collection, boasts a 2-bedroom, 2-bath layout, and is also affordably priced at $224,990 with an opportunity to transform the extra space into a home office, workout studio or a cozy retreat for the family. Both the Capri and Connect have a timeless appeal with island kitchens, airy great rooms, luxurious private baths, and copious amounts of storage. The standout feature in these homes is secluded outdoor living space including tranquil covered lanais and intimate covered patios. From wine tasting, and getting a workout in to watching a kitchen demo and getting competitive at the Sports Pavillion, the enthusiastic service and the engaging atmosphere is hard to beat. When skies are any less than sunny, an indoor golf simulator and indoor lap pool will keep you on your game year-round. With reasonable property taxes and brand new models at a fantastic price point, life really can be all fun and games! 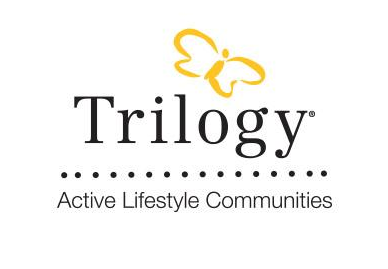 Trilogy received the highest numerical score in the proprietary Lifestory Research for years 2013, 2014, 2015, 2016, 2017 & 2018. The 2018 study based on 12,000 new home shoppers from Jan-Dec 2017 in the United States. Your experiences may vary. 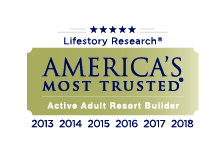 Visit www.lifestoryresearch.com.